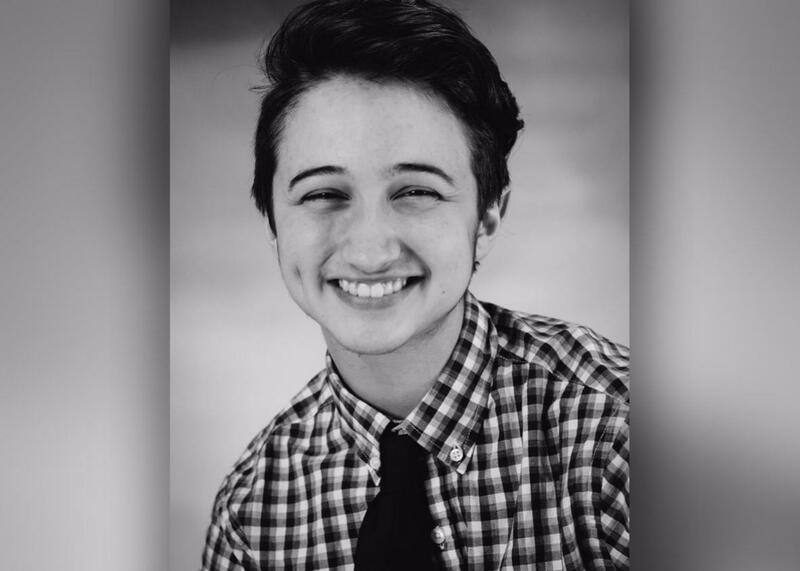 Ash Whitaker discusses transgender lawsuit and 7th Circuit victory. On Ash Whitaker’s second to last day of high school, he learned that he had won a major civil rights case at a federal appeals court. Then he took an exam. In many ways, Whitaker, who lives in Kenosha, Wisconsin, was just a typical overachieving high schooler: He played in the school orchestra, participated in the National Honor Society, and performed with the drama club. But Whitaker is also trans—a fact that deeply concerned his school district and administrators, who barred him from the boys’ bathroom. With the help of the Transgender Law Center and the civil rights law firm Relman, Dane & Colfax, Whitaker sued his school district, arguing that it was violating his rights under Title IX and the 14th Amendment’s Equal Protection Clause. In September, a federal judge agreed and blocked the school from excluding Whitaker from the boys’ bathroom. The district appealed, and in late May, the 7th U.S. Circuit Court of Appeals affirmed the lower court order in a landmark decision for LGBTQ rights. Shortly thereafter, Whitaker graduated from high school; he will attend the University of Wisconsin–Madison’s biomedical engineering program in the fall. I recently spoke with Whitaker about his legal battle and victory at the 7th Circuit. Our interview has been edited for clarity. Mark Joseph Stern: How did the trouble with your school begin? The profiling began around that time. School administrators were always monitoring my restroom use, pulling me out of classes, and threatening me with disciplinary action. And I learned about the wristband, and I decided, yeah, this isn’t going to end too well, so I should proceed with a court case instead of trying to reason with the district because they were not listening at all. Tell me more about the wristband. 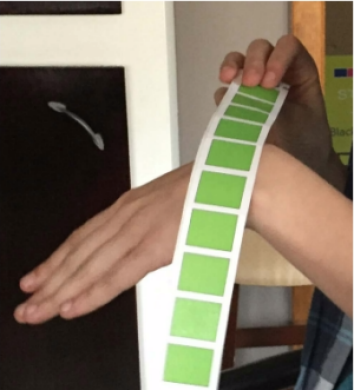 From what I understood, two of the administrators had given these wristband identifier things to counselors and said, if any student comes forth about bathroom usage—basically Ashton Whitaker—give them one of these. It’ll identify that they should not use any other bathroom than main office single-user bathroom. They’re basically saying to trans kids, we see you, and not in a good way. At first I thought, no, they wouldn’t do this. But they did, and it was bright green. I was pretty flabbergasted. How did you react to all this? I was pretty livid. I kind of wanted to cry and kind of wanted to yell, because it’s so exhausting to constantly try to prove yourself or try to say, hey, this is just me as a person. It was the most infuriating thing ever so I just told the school: No. I’m not going to do that. They said, “you can’t use the boys’ bathroom,” and I said “I’m going to—try to stop me.” Because what are you going to do? Pull me out of the bathroom when I’m going to the bathroom? That doesn’t sound like a good plan to me. All of the meetings I had with the administrators basically went like that. They said you can only use these specific bathrooms: the girls’ bathroom or main office single-user bathroom. I said, no, I’m going to use the boys’ bathroom. At one of these meetings, I was told, if you keep using the boys’ bathroom, there may be disciplinary action. I was scared. I don’t like getting into trouble. I don’t like going to the principal’s office. It was really scary that all of my academic work could’ve been tarnished for using the restroom. It’s mildly terrifying to be threatened by people who have a lot of power. How did your peers and teachers react to the school’s crackdown? When they learned what the school was doing, a lot of my peers were outraged that administrators would say or do these things to me. I was definitely supported by a good portion of my classmates. All of my teachers are respectful about it, super understanding and very supportive. They use my correct name and pronouns. What did it feel like to attend high school while you’re suing your school district? Junior year, when it all started, I was super overwhelmed, anxious, and mildly paranoid. But this year, especially after the injunction in September, it was honestly the easiest year. I didn’t even have to worry about bathroom usage or getting pulled out of class again for using the restroom. I could just find my routine and go about it in peace. Can you talk a bit about your coming out process? I did it in stages. Freshman year I said, “You’re coming out to yourself, buddy, accept yourself and love yourself. You got this.” Sophomore year was my social transition. I tried telling some of my teachers. By the end of my sophomore year, I finally got around to telling all of my teachers. At that point, I had basically fully socially transitioned. A lot of them took it in stride. They’re like, ‘OK, if that’s what you wanna be called, remind me or correct me. Those are your pronouns.’ It was never really an issue. None of my teachers were like, ‘No, we’re not gonna do that.’ And I used the boys’ bathroom for six months without any problems before the school made it an issue. The district really blew this out of proportion. 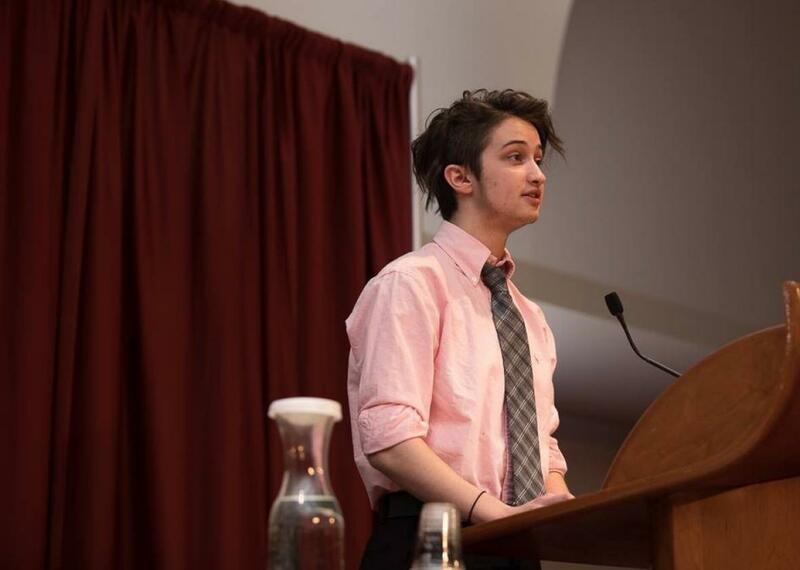 Ash Whitaker speaks at the Gay Straight Alliance for Safe Schools’ Celebration of Leadership 2017 conference in Madison, Wisconsin on May 13, 2017. What was your reaction to the district court injunction? I was so relieved, no pun intended. I was just so excited for my senior year, and I didn’t want to have to constantly look over my shoulder before I went into a restroom. So it kickstarted my senior year the best way possible. Side note: My senior year ended the same way it began—with winning. I’m super pumped about it. It made my whole senior year go to smoothly. Let’s talk about that. How did you find out that the 7th Circuit had ruled in your favor? Of course, I was really excited when I had a chance to stop and think about it after I got home. Reflecting back on it, it’s so encouraging and empowering. It makes me feel like I can actually do something and help other trans youth and gender nonconforming youth to live more authentically. What advice would you give to other trans students fighting for their rights at school? If it’s warranted, give them hell. Don’t back down from the fight. I was worried about discipline, grades, health, and those worries are warranted. But when are you going to put yourself before other things? Junior year, I thought to myself, how am I supposed to go on if I just let this go under the rug? How can I really accept myself if I’m not going to stand up to people who are telling me that I don’t know myself? Trans youth should respect themselves and accept themselves and love themselves enough to realize that, if they’re in my position, that’s not OK. Even if it’s the hardest thing you’ll ever do, you need to stand up for what’s right. You should do what’s necessary for you to live authentically, to live as yourself, and to be yourself. I feel like it shouldn’t be this hard to be yourself, to live as the person you are, whatever gender or sexuality that may be. If someone’s telling you that you’re wrong and you don’t know yourself, prove them wrong.